A new online platform aims to make pasture leasing for cattle as simple as possible. The new online platform aims to make pasture leasing as simple as possible. Such arrangements are already pretty clear cut — a land owner agrees to let a rancher graze a plot for a set amount of time at a certain cost. It allows the rancher to feed cattle when she lacks land herself or if the weather drys up the grass for a few seasons. Livsey knows all too well how a drought can force livestock operators to scramble. Not only does she sell drought insurance to cattle guys — she also grew up as the 6th generation heir to a large commercial ranch in eastern Colorado. When drought hit the state, her dad told her it took 100 phone calls and 100 hours to find a grazing lease for the winter. Her family isn’t alone in their struggles. In times of drought, finding forage options through newspaper ads, word-of-mouth or even blind phone calls can be a major headache for livestock producers. Ryan Rhoades — a professor at the King Ranch Institute of Ranch Management in Texas — watched a similar scenario play out in Texas as drought forced cattlemen to sell their cows, leading to lower herd numbers and higher beef prices. When droughts in Texas ended, those steep costs made it harder for ranchers to get back into the game. Rhoades met Livsey after she earned her masters degree from the King Institute. At a cocktail party, he came to Livsey with an idea: Why not build an online matching party for ranchers in need of hay or pasture? Enter Pasture Scout. The website is a combination of eBay and Airbnb — but for grazing animals. Earlier this year, land owners started setting the terms of auctions for their available pastures. 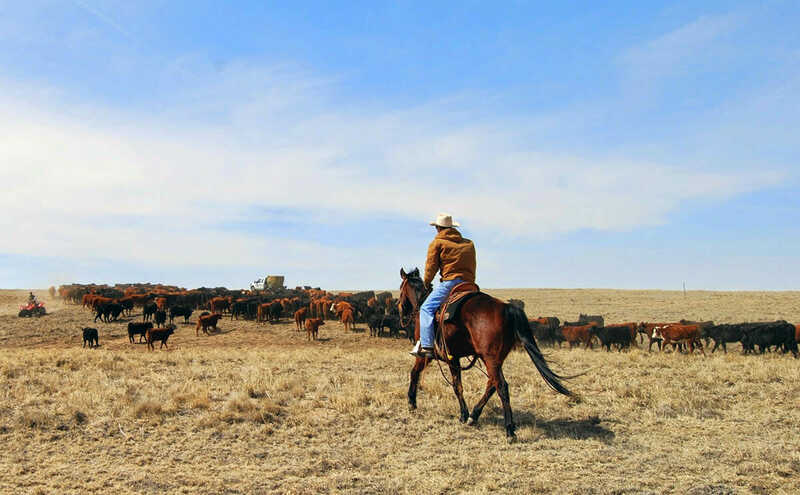 Ranchers can search those pastures by their location, size and suitability for a range of livestock. They can also find bales of hay or alfalfa on the site if they just need some forage to tide over their animal for the season. As a businesswoman, Livsey’s main concern at the moment is getting volume to the site. Membership is free and the company’s Facebook page has a number of promo codes for users making their first use of the site’s auction tools. But as a woman with a deep passion for ranching, the Princeton grad hopes providing efficient tools will help both the business and the environment. But will the old cattle ranchers ever leave their traditional ways in the dust? Livsey thinks so. She says smartphones are more or less ubiquitous at the many cattle conferences she attends.